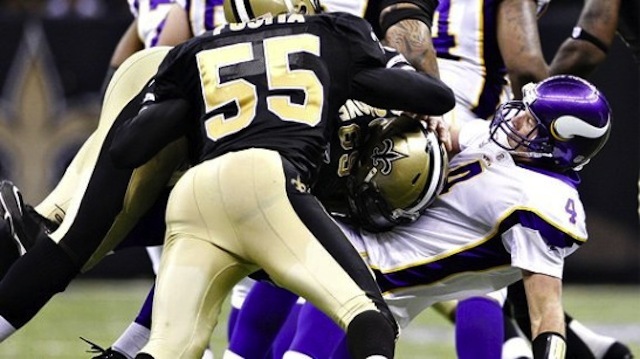 The New Orleans Saints had to go down, and go down hard. I get that. The franchise violated National Football League rules. Team officials lied to the league about said violations. Worst of all, the club flouted the First Commandment of professional football: protect the shield. In running a pay-for-pain locker room office pool, the Saints made the NFL look bad. A message had to be sent. Question is, what kind of message? And to whom, exactly? Over on ESPN's SportsCenter, numerous former players and executives-turned-talking heads said the punishment handed down by commissioner Roger Goodell was about changing the NFL's culture. A few even ventured into doing-this-to-set-an-example-for-the-kids territory. As Deadspin's Drew Magary points out, many observers -- and the league itself -- explicitly said that punitive measures such as the unprecedented suspension of Saints coach Sean Payton for an entire season were handed out in the name of player safety. On "Pardon The Interruption," co-host Tony Kornheiser gave the most succinct summation. "This is Roger Goodell taking violence out of the National Football League," he said. "You can hit, but you can't be violent anymore." That, in a nutshell, is the message. The takeaway. The spin. The lens through which the NFL wants us to view its product. I've said this before and I'll say it again: hitting is violence. You cannot simultaneously hit and somehow be Gandhi in shoulder pads, no matter how noble you believe your thoughts to be. Hello? Is that so hard to grasp? Unofficial bounties or official team paychecks, intent to injure or intent to merely pummel another man with a "clean," legal tackle - the differences are all philosophical, not practical. "Changing the culture" sounds nice. It's as empty as a new suitcase. Football culture doesn't bruise, break and cause permanent, irreversible brain damage; football tackles do. The sport is not a vigorous, physical pursuit tarnished by wanton violence; it is a violent activity pursued with vigor. Human wreckage is baked into the game itself, the inevitable outcome of physics and biology, and no amount of meaning well that doesn't include replacing helmets and pads with breakaway waist flags will change that. Well, as anyone paying attention knows, the NFL is in long-term trouble. The league is facing a growing body of scientific and medical evidence that football participation is unacceptably risky, because it turns your brain into a ticking time bomb. Former players don't just limp around on reconstructed knees. They become fundamentally different people with fundamentally altered minds. They guzzle anti-freeze and kill themselves. In the short term, the NFL faces a series of potentially damaging lawsuits alleging that the league lied about and covered up knowledge of this risk; in the long term, that risk threatens to turn the sport into boxing, largely by destroying its popularity and viability at the youth level, one concerned parent at a time. And that's what BountyGate is really about. Payton and the Saints are being sacrificed for the sport's inherent sin -- it destroys people for the sake of sport -- and for the specific transgressions of the league's concussion committee, circa 1994-2010. Forget locker room culture: Goodell's message is aimed at the jury and/or court-appointed arbiter who will rule on those lawsuits. More than that, it's aimed at every mother who sees another concussed boy on the news and wonders: why should I let my son play this game? Don't worry. You can hit, but you can't be violent. Football is reasonably safe. We are doing everything we can. Left unsaid? Maybe that's not enough.